9 + 9 = ? : (Required) Please type in the correct answer to the math question. Even though there are more buyers wanting homes in our market, the home still has to be of value in the mind of the purchaser. We hear talk everyday about our market being a "Sellers" market. While that is mostly ​true, mortgage ​interest ​rates are slowly ​increasing. This will limit the amount of buying power for some buyers as rates rise. In today's hot market, it's even more important to have a professional in your corner. Your Realtor should assist you in watching the market everyday for new listing that meet your needs. Buyers, it's important to be ready to purchase. 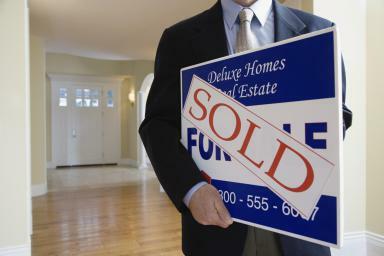 As a Buyer you must be prepared financially to purchase the day you see the house. The first step to buying your first home or your tenth home is great credit. Making sure your credit is ​in ​order is number one on your list. Sit down and see how financially sound you are and make some adjustments where necessary. Your budget will determine the price range you will be looking in for a new home. You can look online for templates to organize your budget. If you aren't quite there, take​ the time ​to get back on track to a journey that can lead you to your dream home. Sellers, appropriate pricing is necessary for the buyer to be willing to purchase. Buyers wanting a home in a particular area won't just purchase any home. Again, the home has to meet the value of the price. ​Appraisals required by lenders will assure that buyers are not paying too much for homes.​ It' is also imporant to make sure your contracts are contingent upon appriasal. Buyers are sometimes prepared to forego some items in the final contract to get the home they want even when paying top dollar. Buying a home is an emotional process and you need to be sure you're not buying a house for the wrong reasons. If it's the right house and checks all the boxes for what you need... you better be prepared to put your best foot forward with the original offer. Don't forget, everything is negotiable even in a Sellers market. ...."You've Got a Friend in Real Estate"